Its finally summer vacation time!! 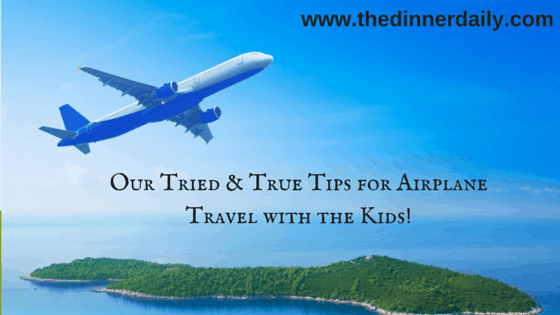 For anyone considering a trip that involves airplane travel, you might be feeling anxious about taking younger children on a plane, especially if its your first time. Flying with kids can present its own unique challenges, but with some good pre-trip planning (and lots of patience), it is nothing to fear. How do I know this? I have lots of experience. Since my daughter was 3 months old, we have traveled from Sydney to Boston (when we lived in Sydney) and then Boston to Sydney (when we lived in Boston) visiting our families. Its a long flight: 26 hours door to door! I think its actually one of the longest flight paths you can take. The longest part of the trip is 14 hours direct from LA or San Fran right into Sydney airport. Yes, 14 hours on the same plane in the same seat! My hardest trip was when I flew home for Thanksgiving from Sydney to Boston with my 3 year old daughter and my 9 month old son on my own, without my husband. That was hard without question and when I arrived in Boston, I will never forget the look on my mom’s face as she said while laughing “You look like you have been beat up”. I was totally exhausted. But during that trip, and many others that followed, I figured out some strategies that worked well for keeping the stress and chaos to a minimum. This works like a charm and it was my #1 tactic for keeping me sane on those long international flights. A month or so before we flew, I would start collecting little inexpensive presents such as new crayons, coloring books, match box cars for my sons, little craft sets, new doodle pads, anything that you think would entertain your kids. I would wrap them all up in wrapping paper and pack them in a big carry on bag. Then, when the kids would start to get cranky or restless, I would pull out a little gem from the bag and say “Would you like a present?” What child does not like a surprise, especially when its wrapped? Always, it would buy us at least 30 minutes of bliss while our kids were happily occupied. And, for those of you that might be thinking “that is not good parenting to bribe your kids with a present”, I will respond by moving on to Tip #2….. Forget about time outs, using your words, I am going to count to 3…whatever strategy works for you at home. As the title of this post suggests, this is about survival on a long flight, not worrying about upholding discipline. I am not trying to suggest that rules and setting boundaries/expectations does not matter. It does. However, when you are on a long flight with a 2 and 4 year old, you do what you need to do. No one is judging and you just want to get to your destination with everyone feeling happy and relaxed. If you are flying on a international flight or across the country, chances are you will be on a larger plane with the 5 seat middle section and the 2 side sections. If so, try to book your seats in the front row of a section (right in front of the movie screen wall) or the bulkhead area. This will do a couple things for you: (1) you will have a bit more leg room and space for all the extra gear (2) you do not have to worry about the people directly in front of you and your kids bumping into the back of their seats, poking their heads over their seats etc and (3) it will put you in close proximity to the bathrooms. If these seats are not available or you are on a smaller plane, I would go for the back row. You will not have as much space as the front section allows, but you will not have people both in front of you and behind you and you will still be close to the bathrooms. Being in the very back does mean being the last to get off the plane but I was always happy to wait for all the rushed travelers to get off before us, allowing us extra time to make sure we had everything. Being wedged right in the middle of the plane with people in front of you, behind you, to your right and left makes traveling more challenging. Depending on the age of your kids, be realistic. If they are on the younger side, you are not really going to be catching up on your reading material on the flight, unless that means reading “Winne the Pooh” or “Good Night Moon” 10 times. Looking forward to reading that novel during flight time is only going to frustrate you. Leave the book for when you get to your destination. Depending on the age of your kids and length of your flight, it is highly likely your little ones will need to change their clothes during the flight. No surprise there right? However, remember to pack a clean shirt and maybe even pants/shorts for yourself. Feeding kids on a plane, holding them while they sleep, even trying to change diapers can often result in a messy mommy by arrival time. And stepping off the plane into the destination airport with food stains (or worse) on your clothes is not a festive way to start your vacation. 6. Don’t let the “Cranks” around you get you down! For anyone that have traveled with kids, you most likely have seen the looks of certain fellow passengers when they realize they are sitting near or next to you. I actually had an older women insist her seat be moved to another section because she “was not going to sit near a daycare” during the flight. Honestly, I wanted to cry she was so mean about it and made such a huge scene. I felt like all eyes were on me and my 2 little kids. But, I got much better about tuning those people out (another notable time was when a woman asked me how long my baby was going to cry? Umm…I will ask her and get back to you). I did learn to not let it bother me, I tried my best to keep my kids occupied and not disturb those around us, and just accepted some people who fly are just “Cranks”. Unless those people can afford to hire a private jet, flying inevitably involves being around young children and I just learned to let the looks and comments go. Although all these tips relate to my experiences of those long 26 hour flights, even if you are just planning a 2 or 3 hour flight, the tips are universal. We hope they help get you to your destination with as little stress as possible. Best part is you are now on vacation!